American culture promotes personal space, individuality, and truthfully, selfishness. From a young age babies are taught to be alone, with many parents setting up nurseries or bedrooms just for their infant. Sleep training, video monitors, and large divided floor plans in our homes is the norm. Unlike other cultures where the household or family home likely includes extended family such as grandparents, aunts and uncles, Americans families typically live in single family units. Further, shared bedrooms, and even shared bed space like co-sleeping which is ‘normal’ in many other cultures, is uncommon in the United States, and even a hot button topic frequently subject to debate. In this day and age, the majority of Americans are raised from infancy to be alone and are taught to value their privacy. Response: No, I borrowed some just to come grocery shopping because that’s fun. Response: No, I was just overloading my cart while wearing my 7-month-old as my 6-year-old is tackling my 3-year-old who is running away because the cart is too full for me to contain him. Response: Hopefully we win the lottery…? While having more than 3 children is considered large by many, having four or more is definitely outside the realm of the typical American household. With more kids and usually a similar amount of space, there are more shared bedrooms, less privacy, and arguably more responsibilities granted the children in the family. There is also a lot more juggling of schedules, pre-planning, and inclusion of younger kids in activities typically suited for older children. But, just as all families and households must find a balance, so too must those with lots of kids of many different ages. Responsibility is a both an expected character trait and a virtue. Being responsible for yourself and your siblings is a must. Friendship and loyalty begin at home. Whether you love or hate your brother that day, he will always be there for you. Act like a role model for someone smaller is always watching. Your parents and siblings really are your biggest fans, while you may fight at home, heaven help the outsider who decides to trash talk your brother. Togetherness is entertaining, being alone is boring. All-inclusive large family activities are usually loud, busy and chaotic, but so much fun! As the oldest of 5 children and a mother of 4 boys (yes, in fact we are Catholic), large family activities are simply my way of life. As such, organization, planning, scheduling and preparedness are all mandatory to ensure everyone’s enjoyment, safety, and sanity (specifically mom’s). 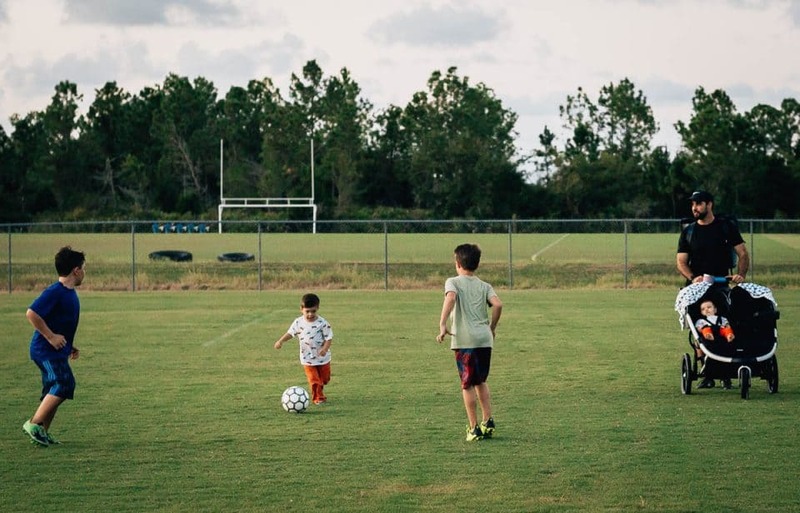 Inclusion is key, and while toting your younger children around to every soccer game, fall festival and boy scout meeting may not seem ideal, it truly teaches life lessons like no other. With the right gear, the right attitude, and the knowledge that togetherness really is best for your kiddos social and emotional development, enjoy these fast-paced days as a family because one thing is for sure, they won’t last forever. 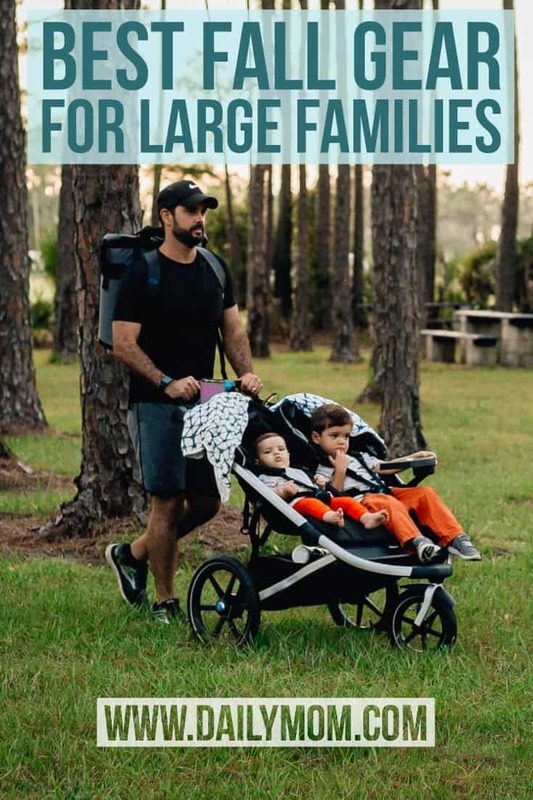 Here is some of the best gear for large families we could find to get you out and about with ALL of your kids this Fall. 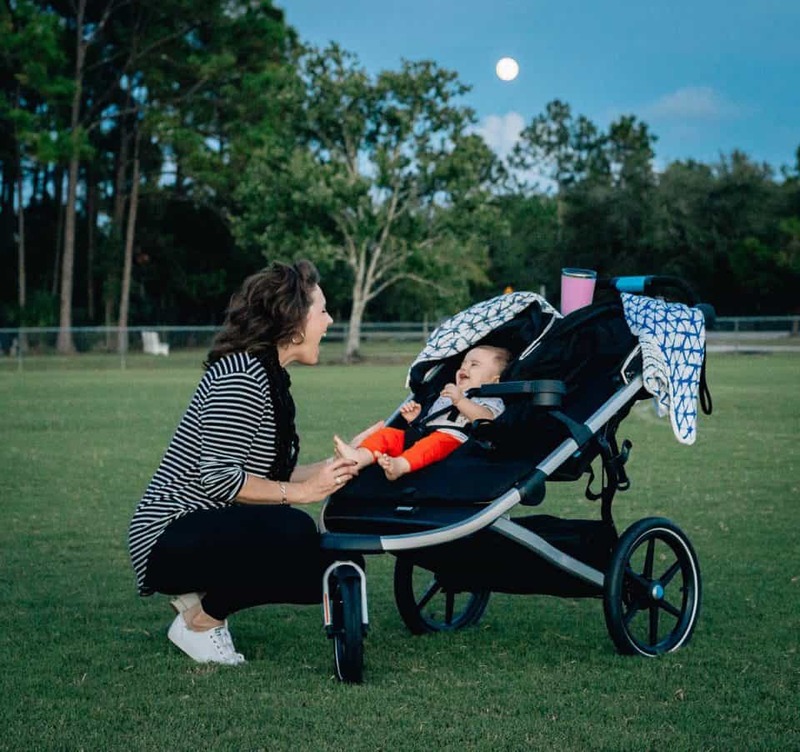 Perfect for parents of multiples, whether the same ages or not, the Thule Urban Glide 2 Double stroller will take you everywhere from the nightly jog around the neighborhood to the full-day of games at the soccer fields. With its easy to maneuver, lightweight design you can steer through the pumpkin patch with ease, or chase the older children through the corn maze. 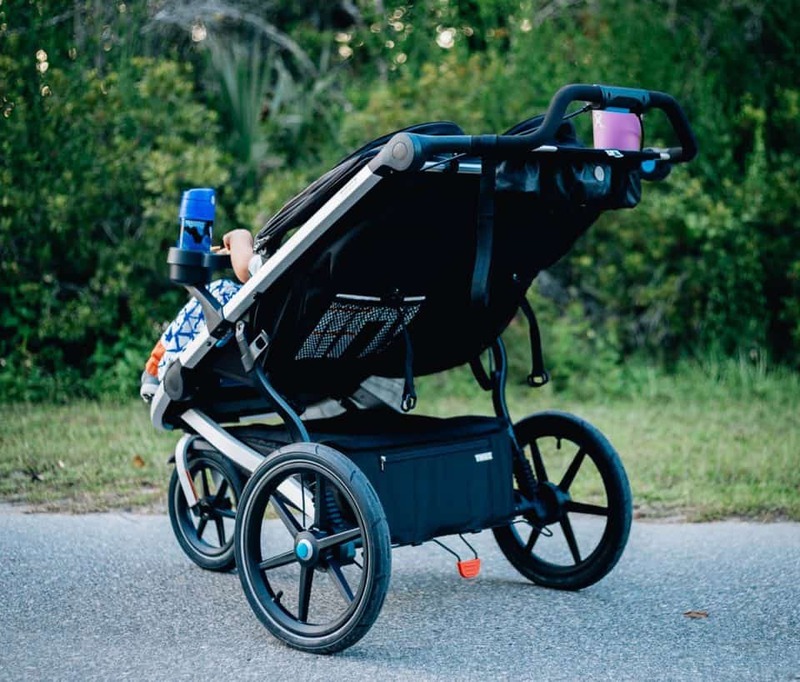 Featuring large 16” rear wheels and a swivel/lock front wheel and superior suspension, the Thule Urban Glide Double provides a smooth and seamless ride for both you and your tots. With its extra-large canopies, side ventilation windows, and reclining seats, your littles will be comfortable and cool all day. 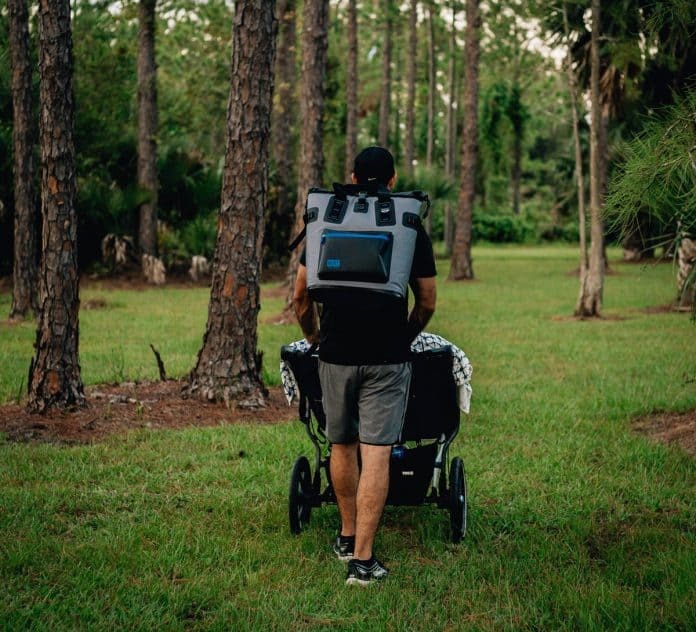 The Urban Glide Double sports 5-point padded harnesses for safety and security so you can go for a run, or even attend busy events such as fall festivals and fairs knowing your youngest children are safe and securely contained close by. 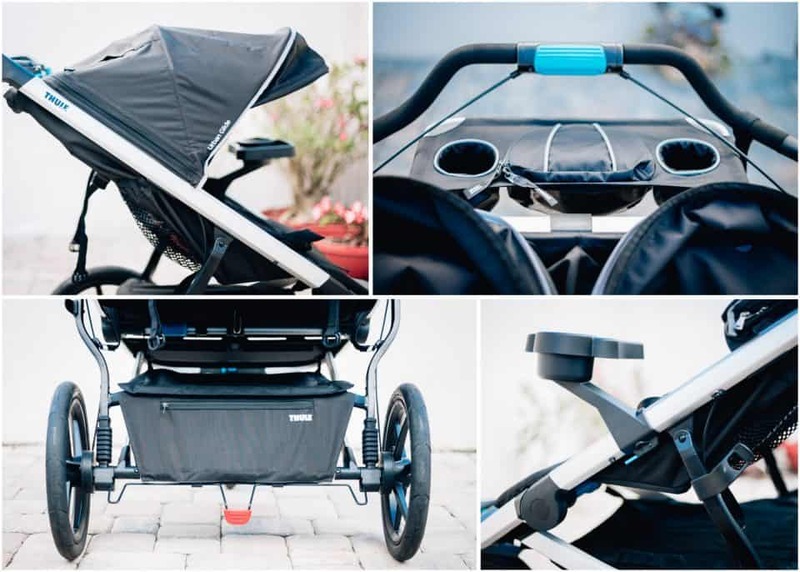 Additionally, the large cargo basket and optional organizer gives you plenty of room for everyone’s necessities, from snacks to diapers, and water bottles to extra clothes, you can confidently venture out for the day with Thule. All moms know you must bring all the snacks! Whether you have one child or ten, and whether you are traveling across the street or across the country, snacks are not optional when leaving the house with children. More so than that, when you have a large family and a long, busy, fun-filled day ahead, bringing snacks and lunch for everyone is really your best bet. Large, heavy coolers are a joke, so here to make your life just a bit more enjoyable is the Welded Cooler Backpack from Built NY. 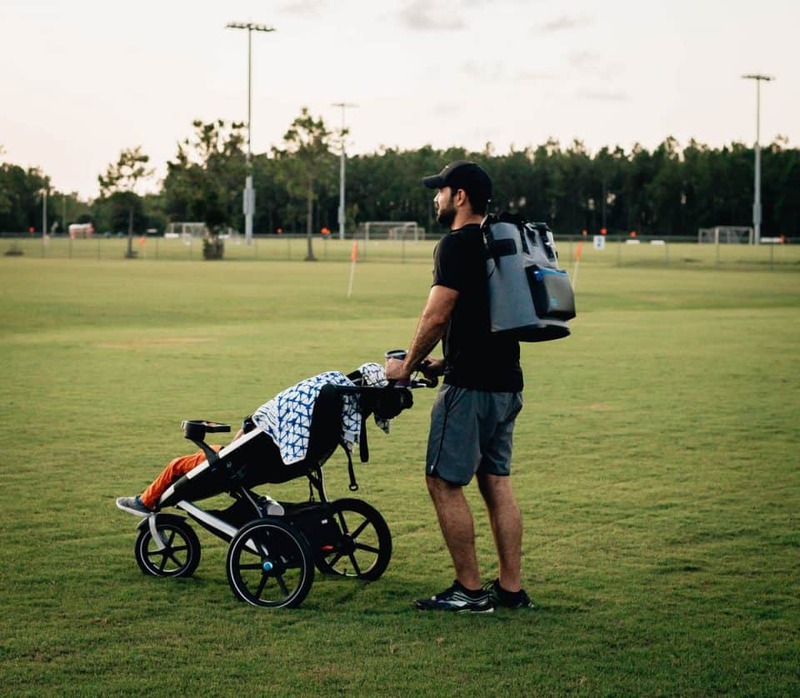 From the beach to the boat, the soccer fields to the nature hike, this large cooler backpack is made with comfort, durability and versatility in mind. Crafted of a leak-proof, durable polyester fabrics, the Welded Cooler Backpack can keep ice cold for days and can carry up to 36 drinks plus ice. 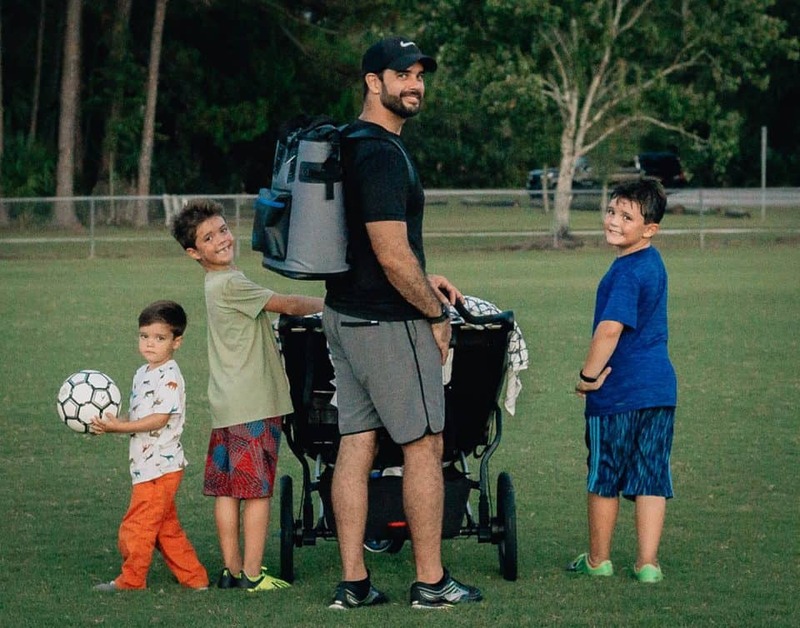 Whether you are the team mom responsible for soccer snacks, or taking the family for a leisurely Sunday hike and picnic lunch, this backpack will allow you to easily transport your food and drinks. The wide zip-top opening allows for easy access, while also keeping your goods safe and secure in transit. The adjustable shoulder straps are padded for comfort making this cooler both comfortable and convenient to carry. 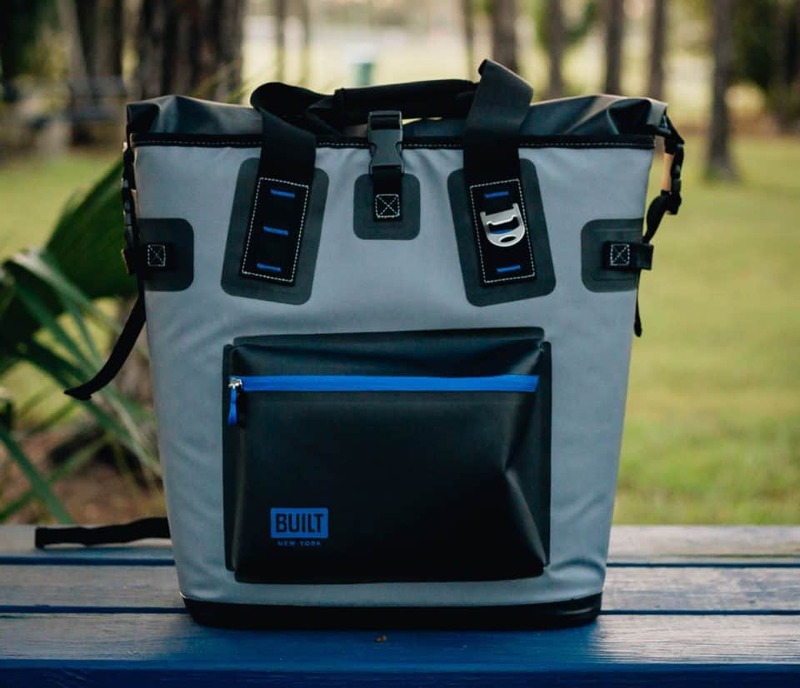 With an easily accessible front pocket for storing your keys or personal items, this cooler will make moms (and dads) everywhere less stressed this Fall and sports season at the prospect of travelling with the kids. 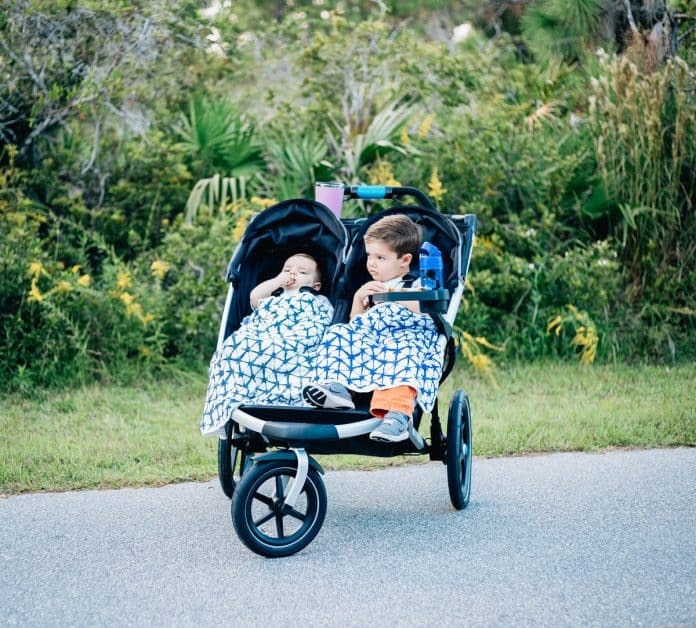 From early morning games to late night practices and the need for naps in between, large families with little ones know stroller blankets are a must this fall. 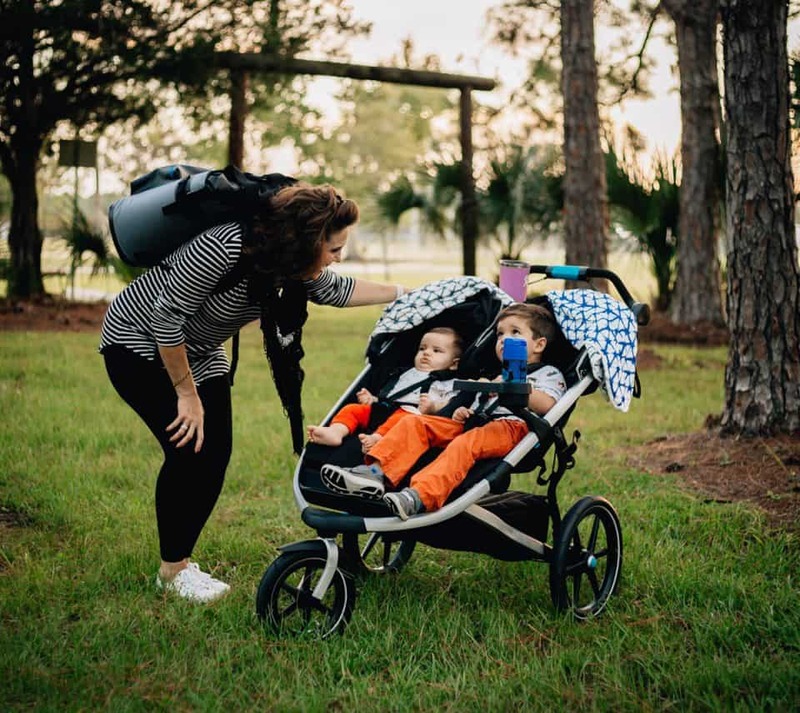 With the weather subject to change at a moment’s notice, moms everywhere need to be prepared when outdoors with infants or toddlers in tow. 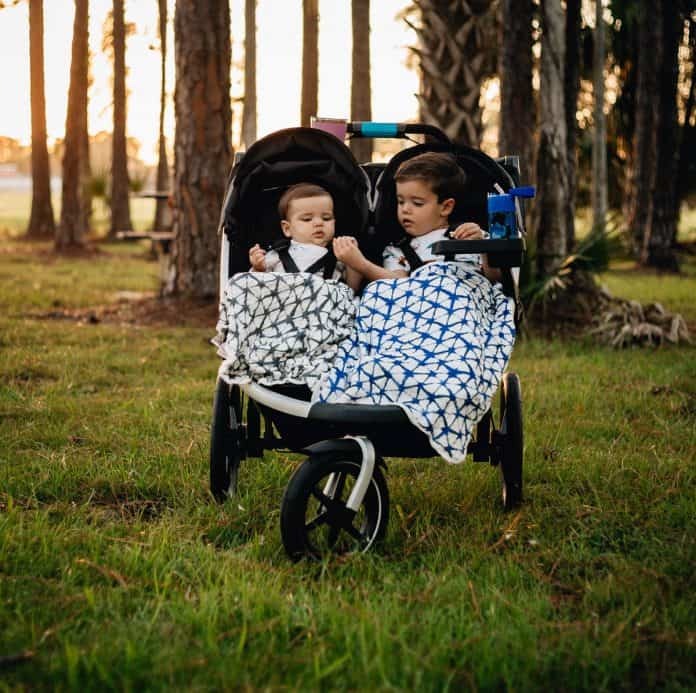 Perfect for tossing in your diaper bag or underneath your stroller are the silky soft stroller blankets from Aden + Anais. These go-to, comfortable, security blankets for little ones are ideal for families on the go. Made up of four layers of soft viscose from bamboo, these machine washable blankets stay soft wash after wash. Ideal for cuddling up in the stroller, lounging on the grass, or snuggling on the sofa, kids and adults alike will LOVE the soft silky touch of these warm, lightweight muslin blankets this fall. 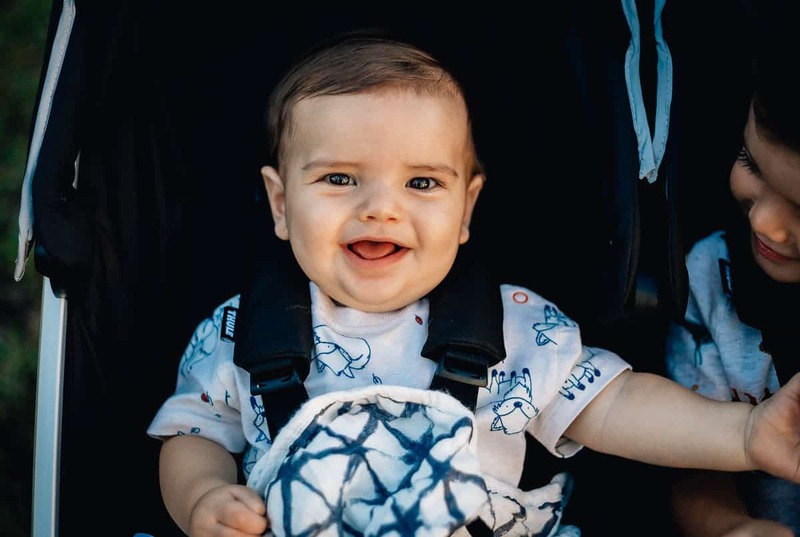 Further, with so many patterns to choose from each of your children will likely fall in live with his or her own stroller blanket. The question I am most frequently asked as a “large family” mom of four is simply how I do it? But the answer is easy…because it is my life. I was born to be a mom, raised to be a mom, and now, I am actually a mom. Family size is all about free choice…whether you are a mom of one or a mom of more, love your family big or small and relish in each and every opportunity you have to spend with these incredible little people. Life can be simple, it is an amazing adventure and these large family must haves will make things just a bit more convenient and enjoyable this season allowing you to include everyone, making this a fabulous fall for your whole family. Headed out with ALL those kids for the perfect pumpkin patch photo? Spending the day at the corn maze? Check out one mom’s thoughts on How to Handle Fall Activities Like a Boss.